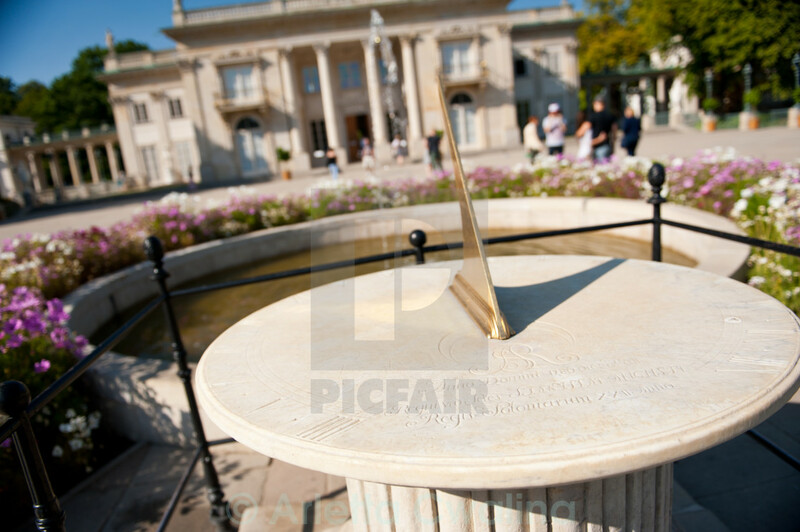 Stanislaw August Imieninowy Sundial with carved description, near fountain between pond and Palac na Wyspie museum building in Royal Baths Park, Polish Lazienki Krolewskie, Warsaw, Poland, Europe. Tourists leisure sightseeing Polish capital popular travel places in summer heat weather. Horizontal orientation, rights managed, editorial use only.